Now that Christmas and New Year are over, the Germans are starting to look forward to Karneval. Karneval is all about drinking. Of course technically speaking, we are in the Karneval season already. It began on November 11th last year with the Hoppeditz Erwachen session. 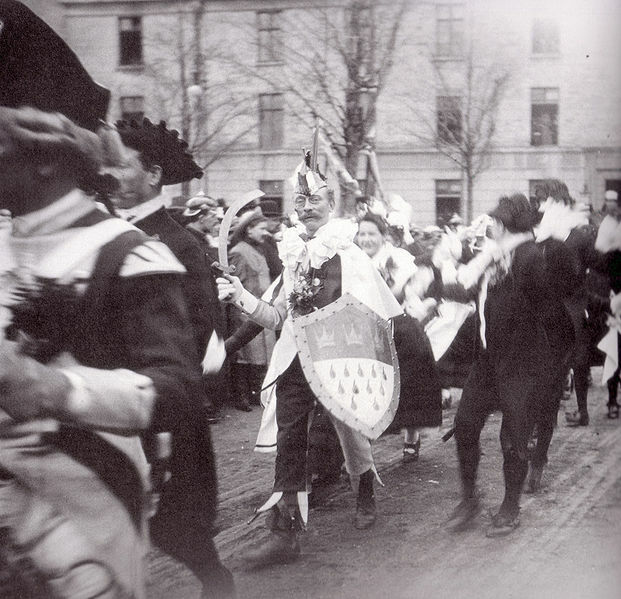 The start of Karneval involves much drinking. This is when the “Hoppeditz” – the chief fool – claims power and the Fünfte Jahreszeit (fifth season, ie the silly season) starts. 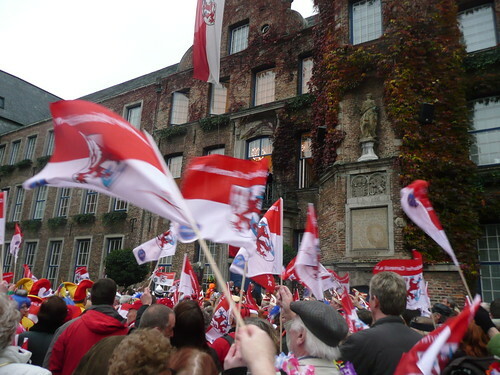 The motto of this year’s Karneval in Düsseldorf is: “Jebuddelt, jebaggert, jebützt” – local dialect meaning, “dug, bulldozed and plastered.” (edit: apparently jebützt means kissed – more on this in the comments). 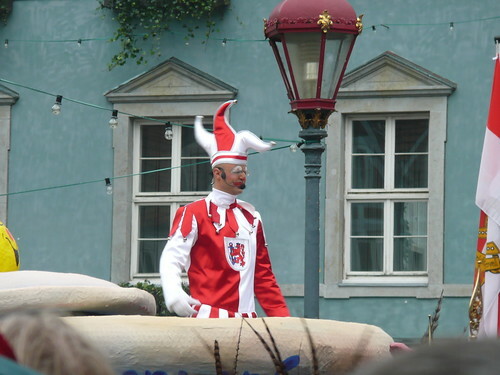 Don’t ask me to make sense of it… unusually for the Germans, nothing at Karneval makes any sense. Not surprising really, considering how much drinking is involved. 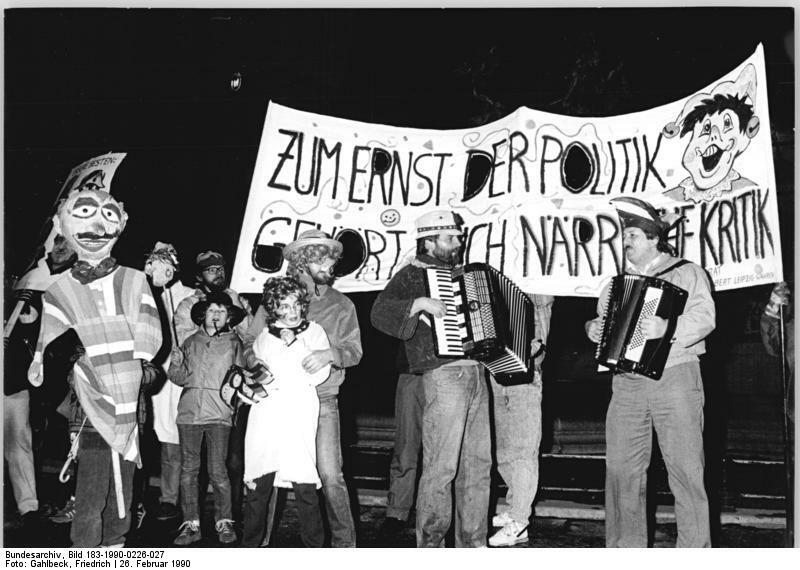 From November to the start of the pre-Lent festivities, nothing much happens outside of the actual Karneval Verein (the organising club who stage the Karneval celebrations each year). They hold sessions (these involve much drink, silly hats, comedy and song) and meanwhile everyone else gets on with their normal lives. 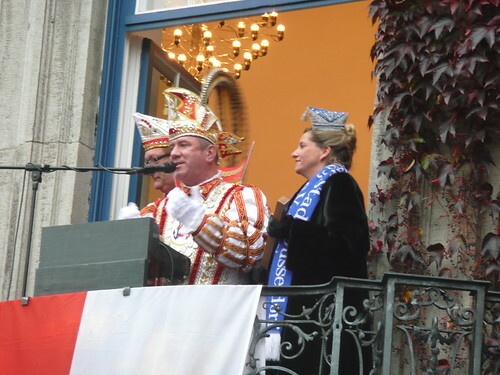 Then on Altweiberfastnacht – March 3rd this year – the Altweiber… the old women of the town, in hideous fancy dress, will storm the town hall led by the Hoppeditz, evict and emasculate the mayor and install their Karneval Prinz in power for the duration of Karneval. Hoppeditz and the Prinz will give a speech from the balcony of the town hall to the Alterweiber and other fools in the square below. Then everyone will get enormously drunk for five days. Hoppeditz Erwachen - meet the new mayor! 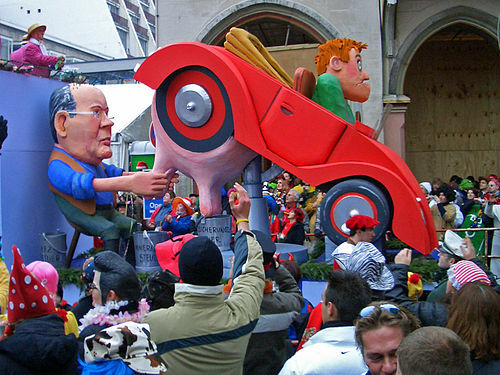 Karneval’s highpoint is Rosenmontag, when there is a huge Karneval procession through the streets with elaborate floats, often with witty political messages. So here is a short clip of some very boring Germans taking themselves extremely seriously at this time of year.